We aim to provide a safe and stimulating learning environment in which children are guided to reach their full potential. 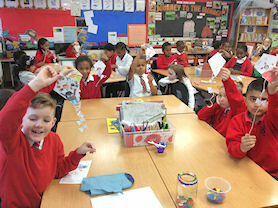 Our engaging classrooms encourage children to be excited and inspired to learn. Year 3 is a very special year for the children as they prepare the receive Sacraments of Reconciliation and Holy Communion. It is a time for celebration and we work together with Parents to prepare for these exciting steps in your child's faith. 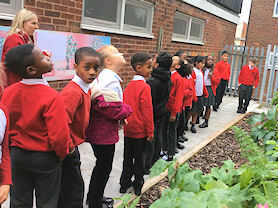 Our Creative Curriculum includes topics such as The Romans and Food Glorious Food ensure that children are working hard and having fun. 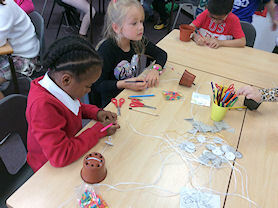 Year 3 enjoy working together. 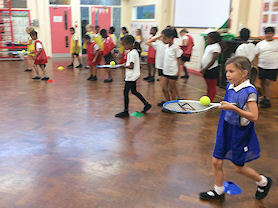 We keep healthy in our PE sessions. Special visitors add to our engaging curriculum.